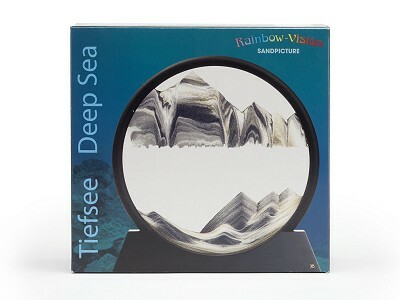 Klaus Bosch, aka Sandman, is the creator of Klaus's Rainbow-Vision Sandpictures. 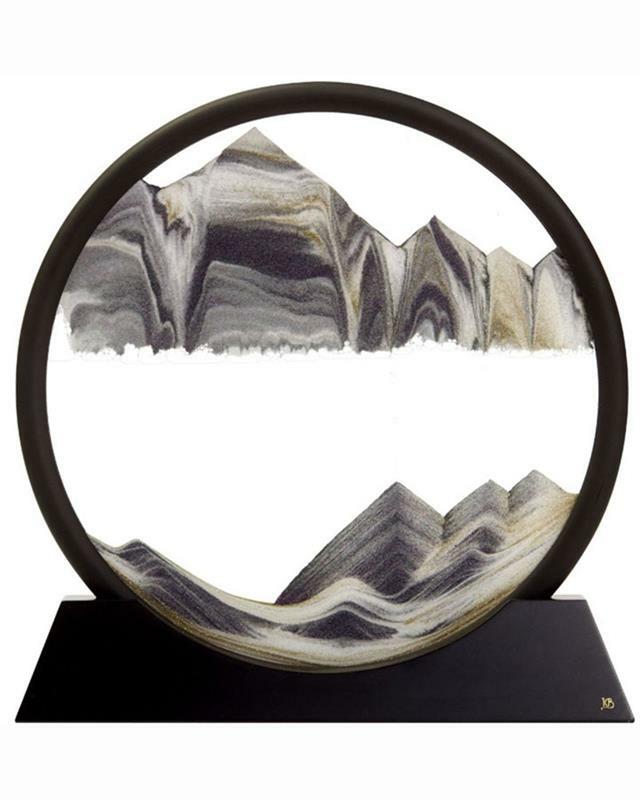 He handcrafts each one in his studio in Lustenau, Austria. The sandpicture is essentially air, sand, and water enclosed within two panes of glass and framed with wood. The water provides the medium for the sand to fall and an air barrier separates the sand from the water. Once the sand finds a weakness in the air barrier, it begins to flow downward creating mountains, valleys, hills, and dunes as it settles on the bottom of the sandpicture. 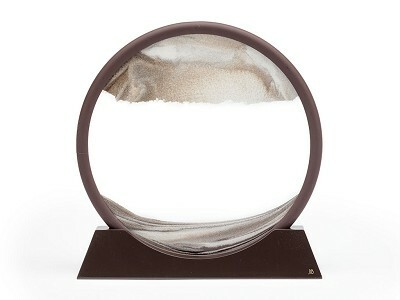 As a round picture it can be turned to any degree which opens new possibilities to move the sand. Viewing this process can be mesmerizing and very relaxing. 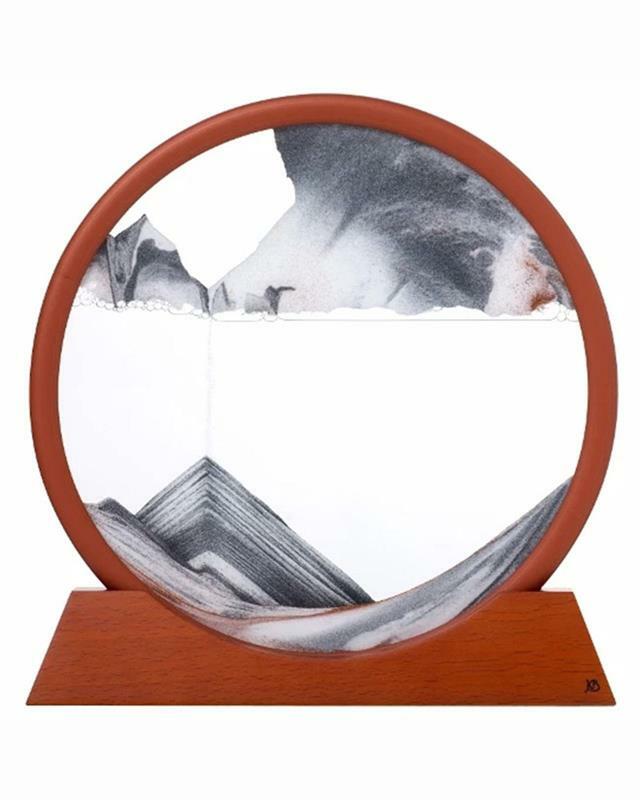 Call it a stress reliever, a work of art, or a window into another world. Deep Sea Nemo is a round porthole like sandpicture surrounded with a rubber frame that sits securely in its copper colored wood base. The sands are red, black, and white. 11" x 10" x 3." Exclusively imported and distributed by Pitkin Stearns.